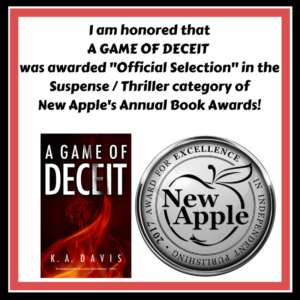 “In A Game of Deceit author K. A. Davis offers up a taut, edge-of-your-seat suspense novel that will make you lock the doors, close the blinds, and wonder who you can truly trust. 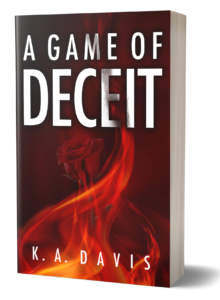 Don’t miss this great debut from Ms. Davis.” – Paige Shelton, New York Times Bestselling author of the Farmers' Market, Country Cooking School, Dangerous Type, and Scottish Bookshop mysteries. 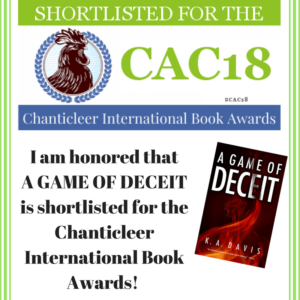 Click here for some "behind the scenes" information about A Game of Deceit!